This show has completely taken over my life. I am captivated by every aspect of it: the storyline, the characters, the romance, the drama, the comedy – this show has it all, and I simply cannot get enough of it. “Hey, are you going to murder me because you’re a stranger I met on the Internet?” said Jessica Day. Jess’s question to her new roommates, Schmidt, Nick and Winston, gives viewers only a glimpse into the awkward, quirky and simply hilarious series ahead. After catching her long-term boyfriend, Spencer, cheating, Jess breaks up with him, leaving her with a fresh start but without a place to live. So Jess, a quirky yet cute teacher, does what any newly single, young woman would do, she finds a set of three male roommates on Craig’s List. This motley crew includes, Winston, the African American ex-professional Lafayette basketball player, Nick, the pessimistic bar tender, and Schmidt, the obsessive-compulsive womanizer. This odd rooming situation leads to the most hilarious and frustrating, but heartwarming sequence of events I could ever imagine. The characters are extremely unique. I became so engulfed with each of them. Schmidt is constantly making questionable comments that flaunt his sheltered life and superior personality. He does not try to hide his ridiculously high standards of hygiene either. “Bathtubs are medieval filth caldrons. Pass,” Schmidt said. Another one of Schmidt’s specialties is his classy sense of style. But of course, he expects his roommates to have a wardrobe of the same caliber. “Please take that thing off. You look like a homeless pencil,” Schmidt said to Nick one morning. But somewhere along the way, Nick and Jess develop an undeniable, unspoken attraction to one another. The two have quite an interesting way of flirting with each other, as Nick so gracefully demonstrates on multiple occasions. “I’m thirty years old, and I’ve peed in every pool I’ve been into, every single one,” Nick said to Jess during an in depth conversation. The entire show is filled to the brim with smart, witty humor, suspenseful relationships, embarrassing moments and so much more. In its entirety, “New Girl” depicts the lives of four roommates who somehow manage through life while bringing me to tears (of laughter). 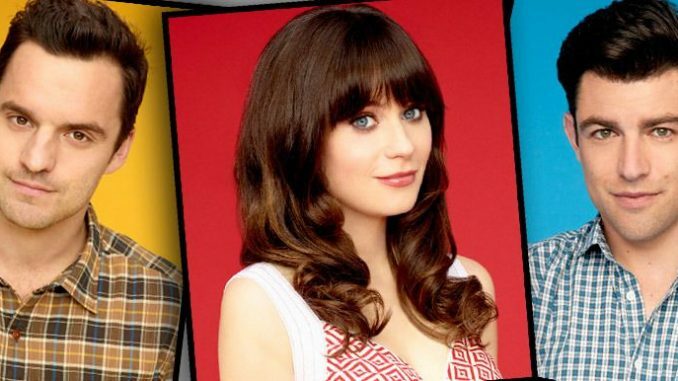 I think that’s what it is: those feel good, exciting, extremely relatable moments caused me to become utterly obsessed with “New Girl.” If you’re looking to have your life uprooted by yet another TV show, then join me and watch “New Girl.” Warning – there’s no turning back!